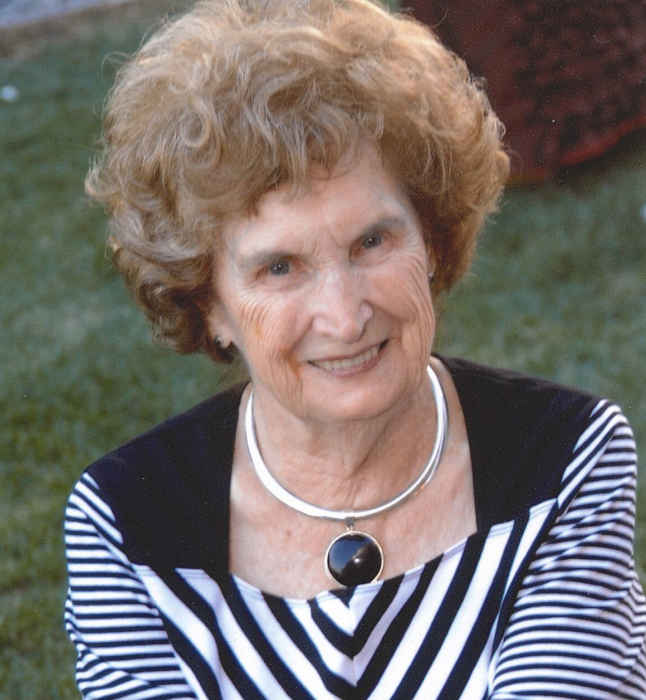 Molly Mae Kelley, 95 years old, of Green City, Missouri, passed away Sunday, March 31, 2019 at Kirksville Manor Care Center in Kirksville. Molly was born August 21, 1923 in Toppenish, Washington to Ivan Petty and Nora Deane. On December 7, 1941 in Pennville, Missouri, she married Raymond Paul Kelley, he preceded her in death January 8, 1998. She was also preceded in death by: her parents; a son, Ronald Kelley; and three brothers. Survivors include: three sons, Neal Kelley and wife Peggy of Bozman, Montana, Doug Kelley and wife Angie of Green City, and Stephen Kelley and wife Marsha of Monroe City, Missouri; a daughter-in-law, Gabriela Kelley of Kansas City, Missouri; 10 grandchildren, Travis (Angelique) Kelley, Tara(Angie Ballew) Kelley, Tyson (Amber) Kelley, Lisa(Shawn) Michael, Kara(Aaron) Nelson, Bryon Kelley, Patrick Kelley, Grace Kelley, Stephanie (Chris) Jorgensen, and Jacob Kelley; 8 great grandchildren; a half-brother, James Poisel; half-sisters, Shirley Hayes, Beverly Rochelle, and Marjorie Jump; and several nieces and nephews including Diana Carmack of Green City and Cindy Platt of Camano Island, Washington. Molly grew up and graduated high school in Yakima Valley, Washington. Molly worked for a time in Washington D.C for the War Department, then operated a crane during World War II. She met Raymond while he was working in Washington and they moved to Cheyenne, Wyoming. After the war ended, they moved back to Missouri, where they bought a farm and raised their family. Molly was a member of the Green City Assembly of God Church, the American Legion Auxiliary, Green City Lady Lions, and the Happy Homemakers Extension Club. She was also a member of the Green City Saddle Club, was a 4-H Leader, and taught Sunday school and Bible school for years. Molly also volunteered for three years at Teen Challenge. She enjoyed quilting, sewing clothes, and gardening. Services for Molly will be held 3:30 PM, Saturday, April 6, 2019 at Ruschmeier Funeral Home in Green City. A visitation will be held from 2:00 PM until the service time. Burial will follow at Mt. Olivet Cemetery, East of Green City. Memorial contributions are suggested to Primrose Hill Adult and Teen Challenge.